Those San Marcos boys are on a roll. Self acclaimed "All American boy band " BROCKHAMPTON has been slowly taking over the Internet music scene over the past year and have struck gold with their newest single "Hero". If you aren't hip, BROCKHAMPTON is a 19 member creative collective from San Marcos, Texas. The group consists of photographers, graphic designers, producers, and sonic artists. Since summer 2014 they've been shocking the Internet with various campaigns and social experiments while releasing greatly composed music. Their first group single "Bet I" proved that they are a forced to be reckoned with in today's music scene. 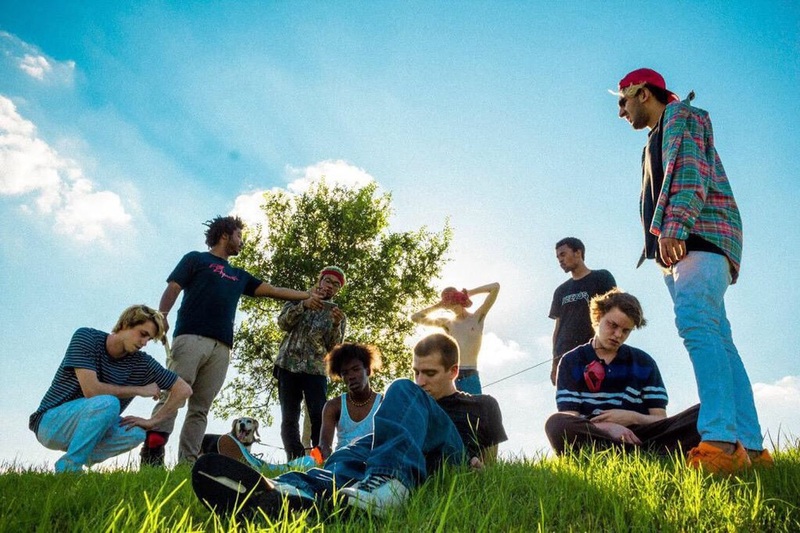 Much like their previous single, "HERO" includes various elements of the group that are only described as the singular BROCKHAMPTON in any description. The only people I can make out just by listening are Matt Champion on the second verse and Kevin Abstract on the hook. The reoccurring themes of women, love, love lost, and drugs however are as clear ever. Being a boy band, it makes sense that a large amount of BROCKHAMPTON's lyricism is centered around girl; but, they do so in a way that you don't feel any less masculine listening to their music on repeat. I credit a lot of this songs replay value to the high energy production. It's an amazing synergy between house/electric and hard bass heavy R&B. The guitar solo at around the five minute mark is also a beautiful touch. It's like a third verse without words. Whoever that is shredding away like that captured the energy of the song in an explosive way. This song is full of emotion, angst, love, and longing. The transition at the end from high energy to acoustic turns the song into a ballad just as it finishes within helps the message of the song stick in the listeners mind. Well, it did for me at least. This is a great song. There's no mention of any project coming from BROCKHAMPTON anytime in the near future but if there is, I hope it sounds like the work they've given us so far.